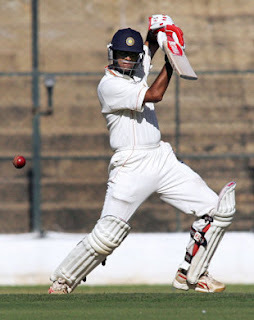 Rahul has decided to play in domestic circuit.He will be playing for Karnataka against Andhra Pradesh.The match will be starting on 16th Nov.
Karnataka takes on Andhra in its third Ranji Trophy super league Elite Group ‘B’ cricket match at the Gangothri Glades grounds, here from Sunday. The two teams have two points each from their two outings and have come into the third game with contrasting fortunes. Karnataka surrendered the first innings lead to Tamil Nadu and Railways and has to pull up its socks to forge ahead in the league table. 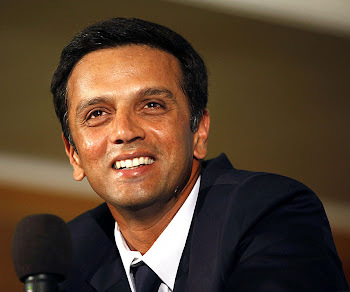 Karnataka’s confidence will be boosted by the return of Rahul Dravid and he will head the team’s batting challenge. Skipper Robin Uthappa, opener K.B. Pawan, C. Raghu and newcomer Manish Pandey have been performing consistently. Dravid comes in place of opener Bharath Chipli, while left-arm spinner K.P. Appanna replaces an injured Vinu P. Narayan. Medium-pacer N.C. Aiyappa is expected to play in place of Sunil N. Raju. Meanwhile, the Andhra team is a mixture of youth and experience. Openers Hemal Waterkar, L.N. Prasad Reddy and middle-order batsman A.G. Pradeep have scored a century eachand B. Sumant has also been consistent in the middle-order. On the bowling front, D.K. Kalyankrishna and P. Vijaykumar, supported by M. Suresh, are Andhra’s best bet. He also said that Karnataka will go into the match with seven batsman and four bowlers.